Halyn and I got a chance to sit down virtually and talk about him and Empire in Flames. Well, actually, Gail and I wrote up a list of questions and Halyn answered them! The first way just sounded more cozy. *broad grins* Enjoy! 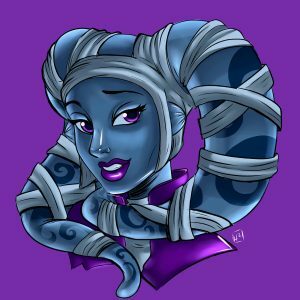 Sandi: Which versions of SWG did you play? pre-CU, CU, NGE? Sandi: If you played in the pre-CU live, approximately how long did you play in the pre-CU? Halyn: I started in October of 2003 and played until the game shutdown. I had a couple breaks in there of a few months at a time, and periods where I was more and less active, but largely played from almost the beginning all the way to the end. Sandi: Which server did you play on? Halyn: Starsider from beginning to end. I had an RL friend who rolled there first, and the RS guild started there as well. I never had a reason to go elsewhere. Sandi: Which classes and which was your favorite? 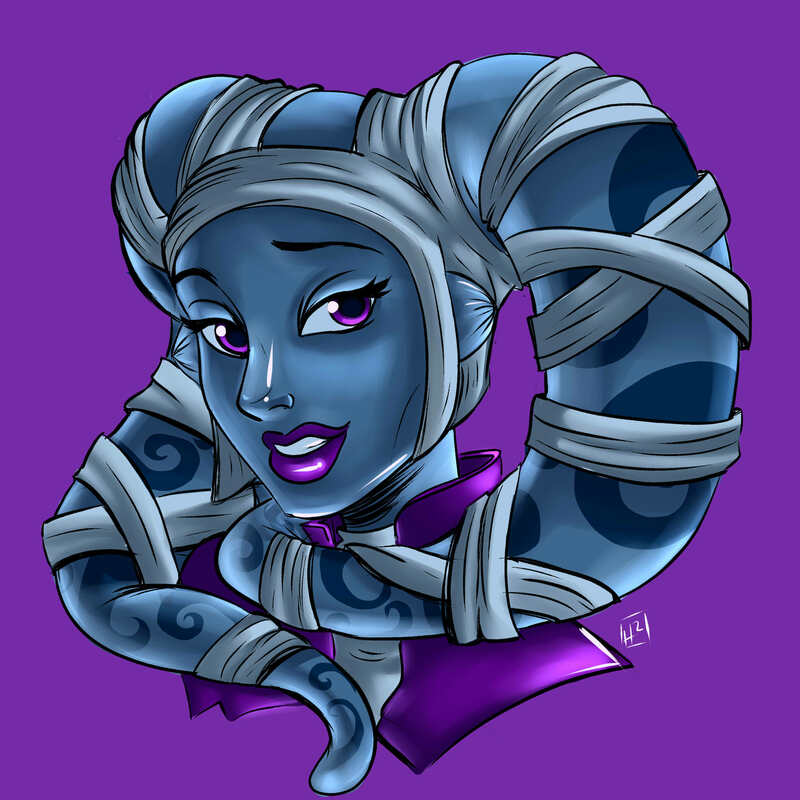 Halyn: Pre-CU, I largely played a weak combination of classes – pistoleer, smuggler, creature handler, ranger, and a few others. At the time, I wasn’t interested in min-maxing. I had fun in particular as a smuggler, and generally had one smuggler characters from mid-pre-CU all the way through the end of the game. During the early CU, I played a smuggler/commando which had some hilariously awesome potential until SOE nerfed cross-classing weapons. Sandi: How many accounts did you own/manage? Halyn: Only one actively, but I wound up inheriting a number of accounts that I kept running. At peak, I had four accounts I was paying for before my then-girlfriend started playing and took one or two of them off my hands. Sandi: What type of gameplay style do you most enjoy? 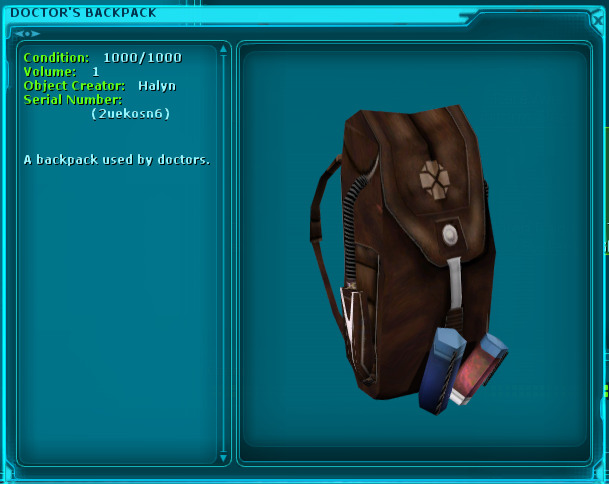 Halyn: One we don’t have yet – space! Sandi: What’s a typical gaming session for you, what activities? Halyn: On days I’m not wearing a dev hat, I log in and decide which character I want to play with. Sometimes I run missions, but I often spend more time now days just touring the galaxy and seeing what other EiF players are doing. Even with a small population, some amazing things are happening in-game, with deco that’s breath-taking and cities that are amazing. Sandi: What do you most enjoy about SWG? Halyn: It may be cliche to say at this point, but it’s the sandbox. There’s a sense of freedom in the game – I can go anywhere I want, do anything I want, and it’s a legitimate gameplay experience. I can decorate a locale, ride a narglatch across Naboo, race a swoop on Tatooine, fight stormtroopers at a starport, or conduct some seedy business on Port Jato. Sandi: What do you enjoy most about Empire in Flames? Halyn: Seeing other people enjoy the work we’ve put in is number one. Number two is working on new things that other servers haven’t done, like our extended selection of species and the upcoming GCW system. Sandi: When you are not ingame, what do you enjoy doing? Halyn: Hunting, reading, and being a father to two wild boys who love Star Wars as much as I do. Sandi: What do you do outside of EiF / do for a living? Halyn: I’m an author (check Amazon!) and run a small computer business out of my home. It’s enough to keep the lights on and food in the fridge. Sandi: What is your role with EiF? What does that entail? Halyn: Lead developer/owner. As such, I’m often knee-deep in the muck of code, working on new features. It also means I screen patches and additions submitted by the rest of the team, make tweaks, and ensure nothing breaks. 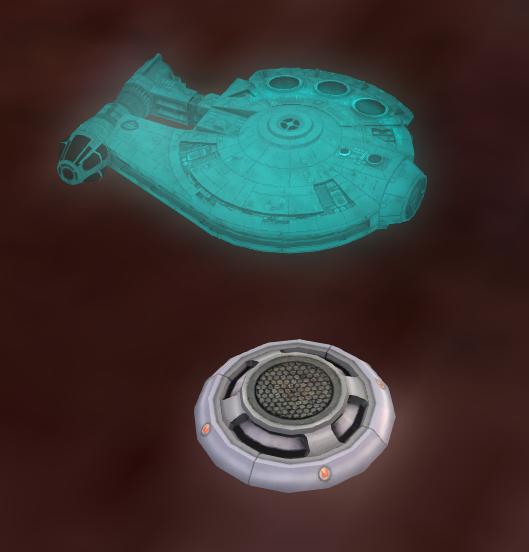 I also manage code merged from SWGEmu’s development to make sure we stay up-to-date and that our customization remains compatible with new upgrades. In other words, I do at least some of almost everything on the backend. Sandi: If you could have ANYTHING instantly in EiF, what would it be? Halyn: JtL. Everything else on my immediate want list our team can handle from scratch, even if it will take a while. Sandi: What gives you Developer’s Crack? Halyn: There are few things I like more than seeing players enjoy a new feature we’ve worked hard to implement. We introduced new races with the client patch, and I love seeing them already in use! 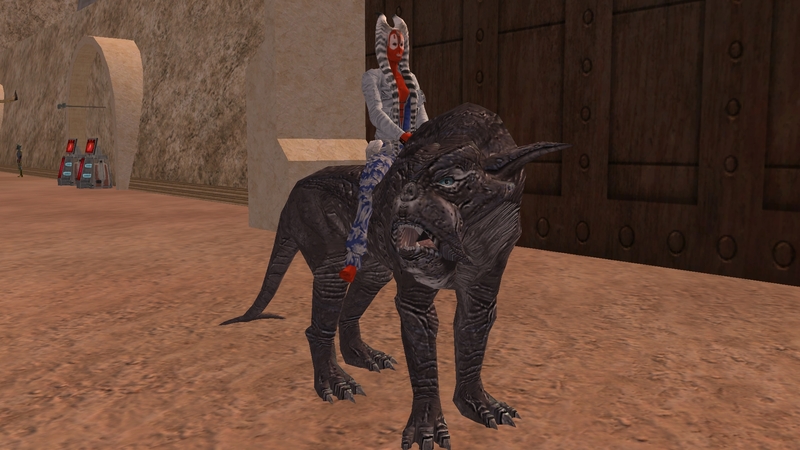 Cat mounts started as a whim, but anyone who has some creature handler skill seems to prefer them over speeders, and it’s extremely satisfying to see them racing around. Sandi: Feel free to add anything else! Halyn: I’m grateful for the players here. I know new content has been slow in coming, but the steady player community here is an awesome thing to see and participate in. I’m grateful for our volunteer team, too – Sandarie and BluePyros in particular have taken a huge amount of work off my hands, which lets me work on all the new features I’ve dreamed off. Halyn: I’m hoping in the next few weeks to start previewing bits of the Galactic Civil War system. 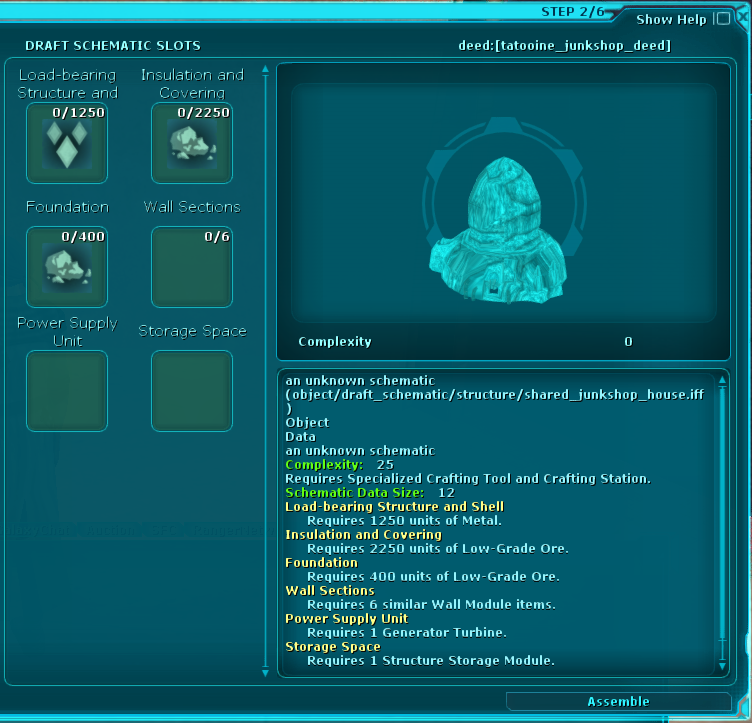 It’ll be unlike anything else on a SWG server, with new features that will continue to shape EiF into the most unique SWG project around! 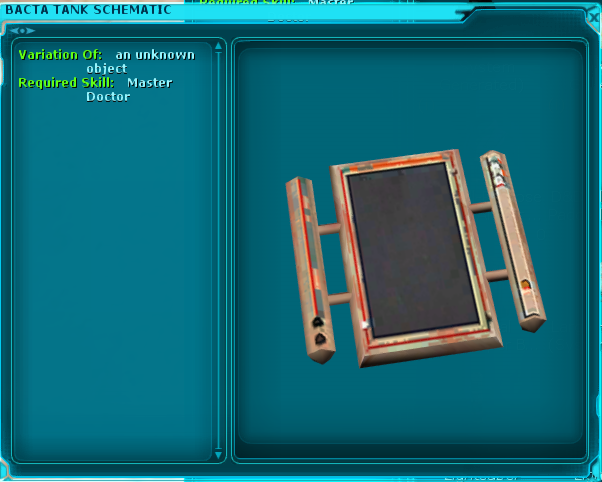 Star Wars Galaxies has long struggled with the idea of obsolescence. An Empire Divided launched without any player transportation – only shuttles – which meant characters spent a lot of time on foot, hoofing it to distance POIs after landing at the nearest shuttle. Creature Handler mounts were the first to cut into that, with a handful of mounts available to everyone (well, everyone who had befriended a Creature Handler! 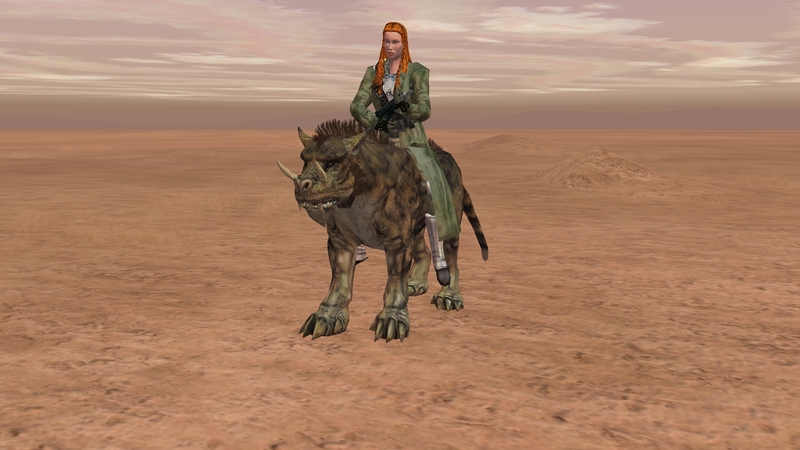 ): carrion spats, kaadu, lesser dewbacks, and lesser bols quickly became a common sight; larger mounts, like the giant carrion spat or the larger dewbacks, were sources of pride among the Creature Handlers. Creature mounts quickly fell out of favor, even among the Creature Handlers. Fast-moving swoops became ubiquitous; even the slower speeders, like the Speederbike and the X34, barely saw use. Speed was king. And it’s hard to blame players. Creature mounts were clearly obsolete, and have remained so ever since. Even NGE mounts like the rancor were a novelty, not a serious mode of transportation. That changes on Empire in Flames. The Clone Wars CGI cartoon actually demonstrated Talz riding narglatches. Not only were they a viable mount, but they kept pace with the Republic force’s BARCs! 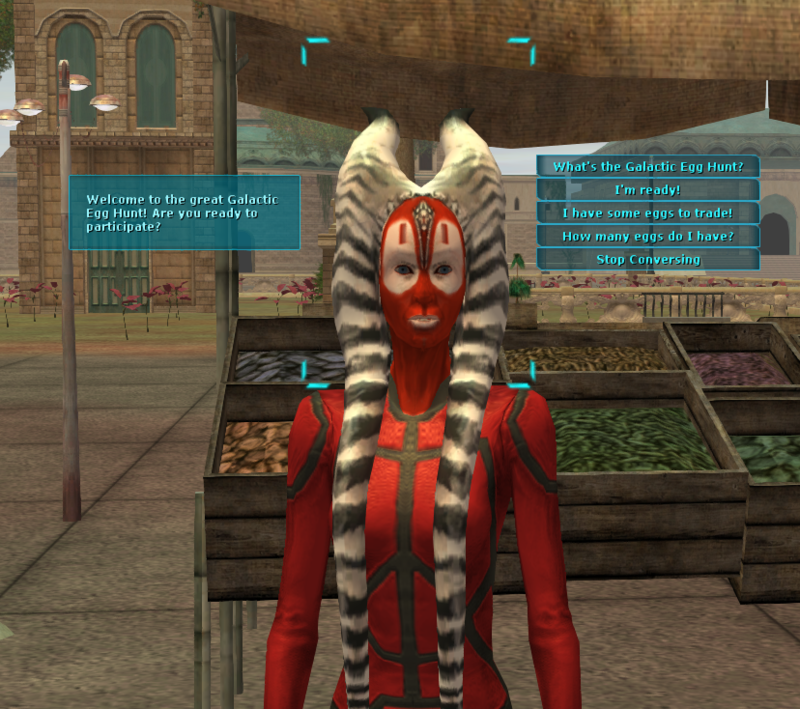 In SWG, creature handlers running missions often use cat creatures for just that reason. Cats in various forms can almost keep up with a swoop. That said, creature handlers still generally resort to driving a swoop themselves, since the mountable creatures are too slow to be efficient at running missions. Adding cat mounts to Empire in Flames has to walk a fine line – on one hand, they need to be valuable and useful if we expect players to actually seek them out, rather than just use the same old swoops (and improved speederbikes) that are already in use. On the other hand, creatures aren’t killed off in the same way speeders are blown up; if they’re too good, we essentially kill off the speeders market. How do we walk the fine line? First, by speed. Cat mounts are slightly slower at natural speeds than a swoop; at /gallop the speed boost makes them slightly faster. Second, by skill. 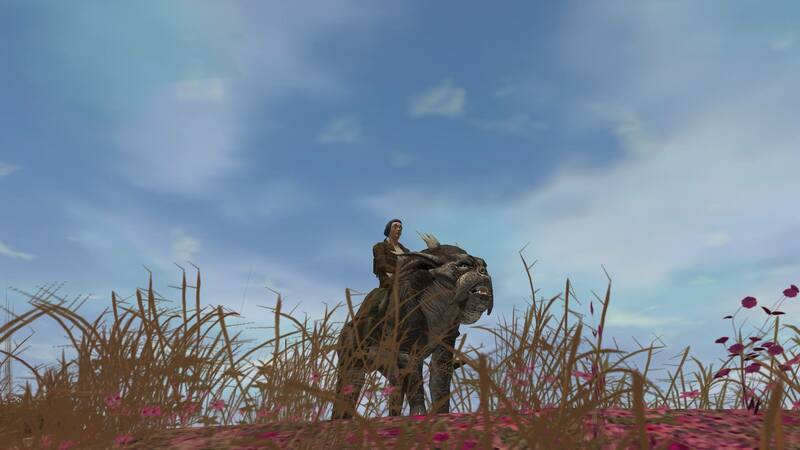 Only the largest cat types can be used as a mount, and none of them are available to non-creature handlers. Your CL10 cowardly gurreck or BEed narglatch? Don’t expect them to carry you across the planets. While the list has not yet been finalized, powerful wild cats like the narglatch matriarch, grand wrix, and greater sludge panther are strong enough to carry a rider. Coming soon in the client patch!